HomeHow to configure Payroll in OpenERP ? 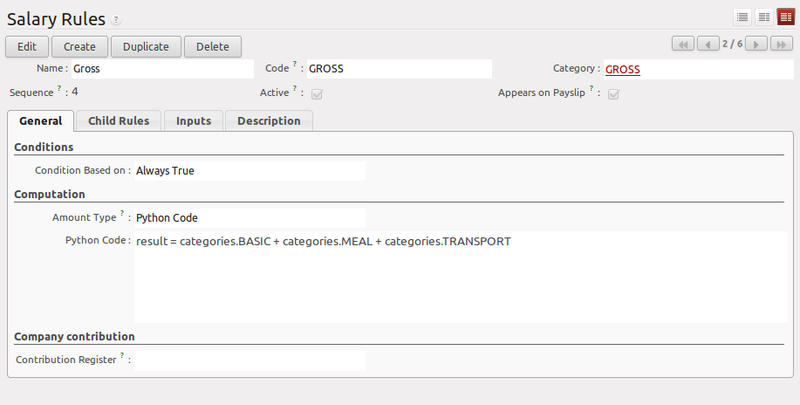 How to configure Payroll in OpenERP ? Payroll is an important part of company who wants to manage their employee’s salary. It is very important for your company to keep track that you are invoicing right people with right amount. To manage all things smoothly, you have to simply use OpenERP Payroll module. 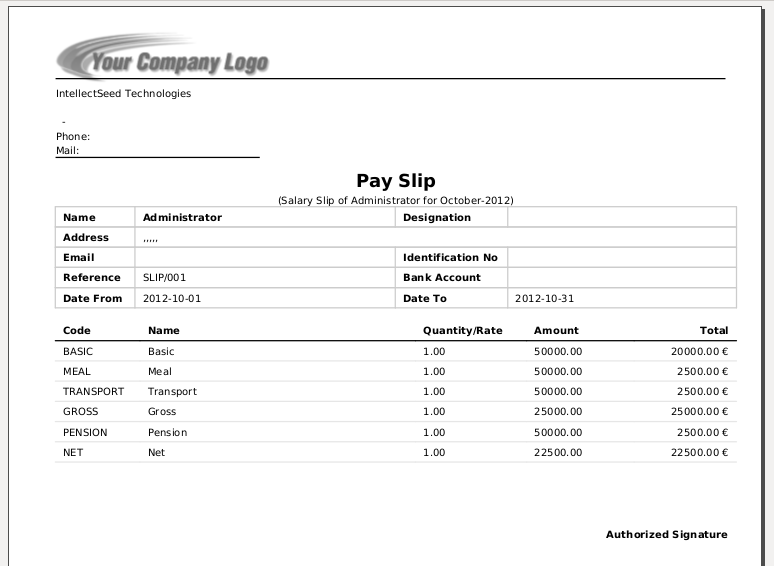 OpenERP Payroll configuration is very easy to manage and understand. 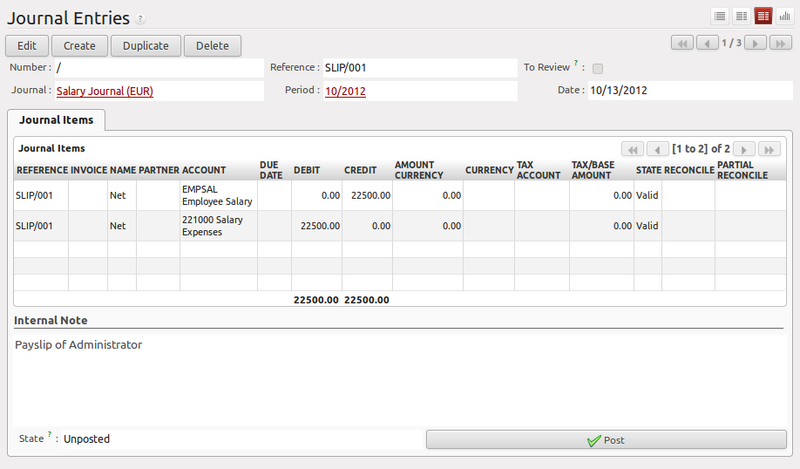 To enable Payroll feature into OpenERP, install ‘Payroll’ module. What is salary structure ? Salary structures are an important component of effective compensation programs and help to ensure that pay levels for group of jobs are competitive externally and equitable internally. We are going to define basic salary structure of our company. Before start to define salary rules, it is compulsory to define salary rule categories. Now we have to define salary rules for salary structure. Salary rules that you are going to define by default display on payslip. You can also write python code to make some computation. Contract is generally related directly with employee which has some basic information like wages, salary structure attached with that employee, contract period etc. What is contribution register ? You can define the list of contributions and associated register. Using contribution register you can track the contribution of the employee and company. First define contribution registers with appropriate names. Now assign contribution register with proper salary rules. To check the amount according to contribution register, first confirm payslip that you have created. Open contribution register and click on right side link named ‘Payslip Lines, as shown in following screens. Finally, we are going to print payslip report for employee. Now we will configure an important feature of payroll that is linking payroll with accounting. It’s always important that when we are going to pay to someone, we have to make entries in our accounting for those transactions. Install following module for activating link between OpenERP Payroll and accounting. 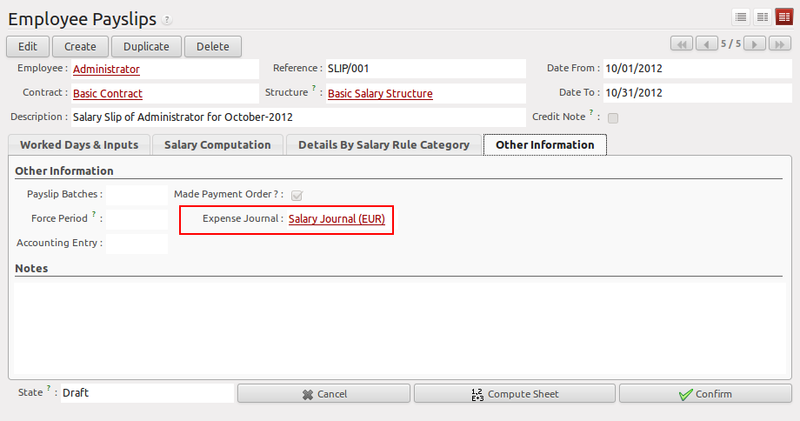 First define proper accounting journal and relate it with employee payslip. Configure proper accounts on salary rules. Once you confirm payslip, it will create accounting entries as per our account setting. 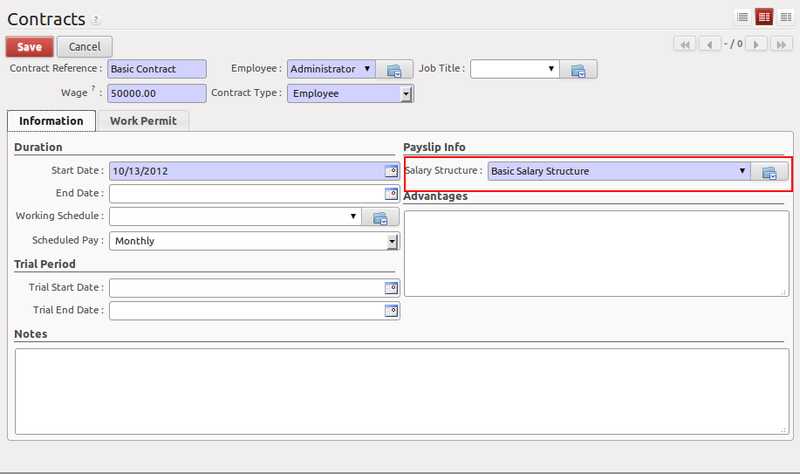 By this way, you can manage employee salary payment using OpenERP Payroll module. ← How OpenERP works as SSO ? how to create rule like this in openerp . ?